MOSCOW, the Russian Federation (BulgarianMilitary.com) – An anonymous source of the TASS news agency, working at the Malachite Military Industrial Complex in Saint Petersburg said the company was already working on a project code-named Laika to create a fifth-generation submarine, learned BulgarianMilitary.com. In his words, at the end of 2018, the Russian company finished its research work on the Husky project, which actually was identifying the possibility for appearing of a nuclear–powered multipurpose submarine. The source has so far not revealed calculative technical characteristics of the submarine, but “one of the types of percussion weapons will be Zircon hypersonic missiles”. According to the TASS news agency, besides the presence of hypersonic missiles, the submarine will have a modular construction and an integrated command and control system via artificial intelligence. The Military Industrial Complex has not wished to comment officially the TASS information to date. BulgarianMilitary.com recalls that in the Malachite annual report announced in June 2018, the company has set itself the goal of creating a new-generation multipurpose nuclear submarine, starting this year. In the report, this project is referred to as a state procurement agreement on military equipment for the period 2018-2027, the project code is not specified. 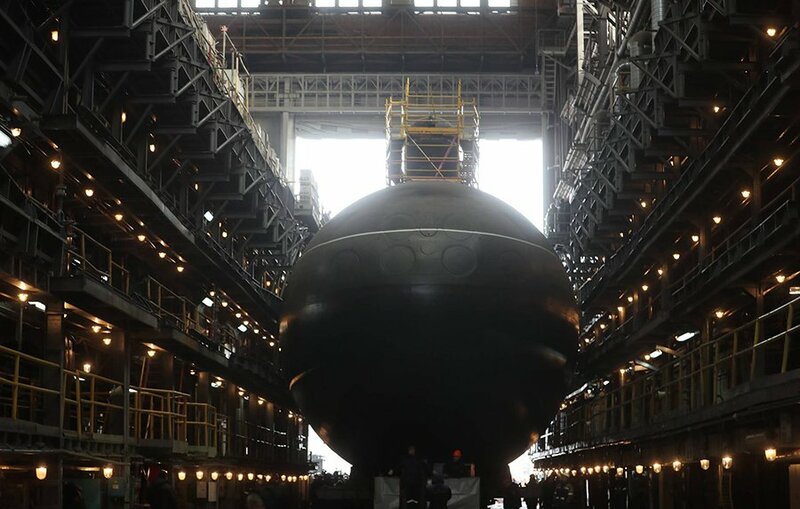 Currently, 4th generation submarines are being manufactured in Russia, the Yasen-class, as well as strategic submarines – the Borei-class.